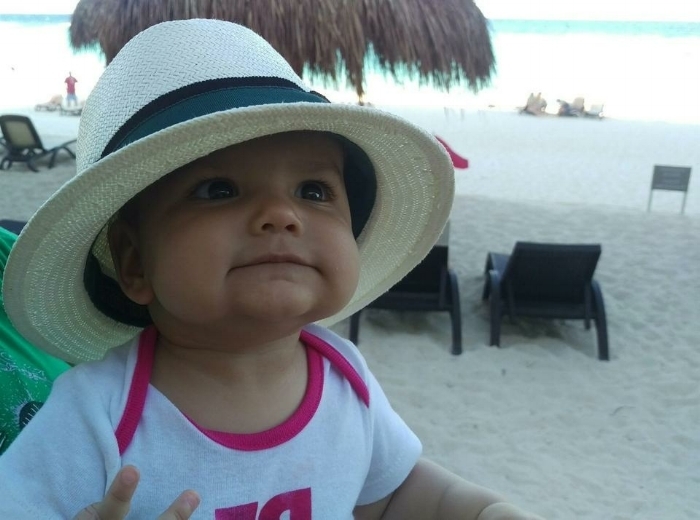 Our goal at The Littlest Passport is to make travel planning simpler for parents of babies and toddlers, and to provide useful, reliable first-hand information on accommodations and things to do on your family vacations. We started The Littlest Passport as new parents, after realizing how difficult and time-consuming it can be to build travel itineraries that balance the needs and interests of your little ones with your own interests. Most travel publications write about dream vacations that clash with the realities of strollers, nap times and limited attention spans. "Kid-friendly" vacation sites often doom parents to two decades of Disneyland and waterslides. 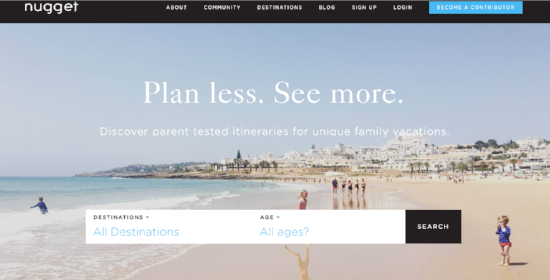 So we were excited when we stumbled upon Nugget, which bills itself as an online community of parent explorers and a resource to make family travel easier with itineraries written by parents for parents. Nugget's itineraries are written by parent contributors - some are professional travel writers and bloggers, others are amateur writers, just compelled to share their own travel adventures for the benefit of others. Nugget provides editorial support to each parent contributor, and standardizes the information found in each itinerary. Parents can search by destination as well as children's ages to find itineraries suitable for their little ones, and parents can quickly scan a short description of each itinerary to discover how long the itinerary takes to complete, and whether it's likely to appeal to art-lovers, history buffs, outdoorsy type parents ... whatever your interests are, they are likely to be addressed on the site. Like many start-up projects (The Littlest Passport included) it takes time to build out content, so you're not guaranteed to find Nugget itineraries for your travel destination. For example, Nugget has itineraries for New York City and Encinitas, California, but other destinations recently visited by The Littlest Passport parents were not yet covered. However, I was delighted to discover that Nugget's travel site includes several itineraries for Norway, which will prove helpful as my family starts planning its trip to the Scandinavian country next summer with our toddler and her grandparents. 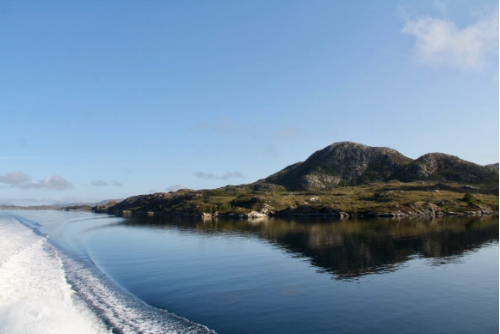 Thanks to a Nugget contributor, a quick three-minute read led to the discovery of a toddler-friendly half-day ferry from Bergen, which will allow us to experience Norway's fjords without having to commit to a multi-day cruise (or risk "fjordom" on the part of my toddler). And because the itinerary was written by a parent to a toddler, it highlighted the Norled ferry's playroom for kids - ideal for warming up, a change of scenery and burning off some toddler energy - something that most travel publications wouldn't have mentioned. Though Nugget is unlikely to be a one-stop solution for your online travel planning, it is well worth a visit - you may strike gold and learn about great parks, museums, or even lesser known cities and towns within the country you're visiting. And be sure to follow @gowithnugget on Instagram, which features stunning photos from Nugget's contributors that will inspire you to book your next family vacation with baby or toddler. As with all content websites, Nugget's value will grow with the contributions of parents like you. So, if you discover great things to see and do on your vacations with baby and toddler, pay it forward by becoming a Nugget contributor. It's simple to sign up and get started!